This 60 ml (2oz) purse pack is a convenient size for travelling. Hydra is a water based lubricant with certified organic extracts formulated for smoothness, comfort and free of harmful irritants for intimate tissues. 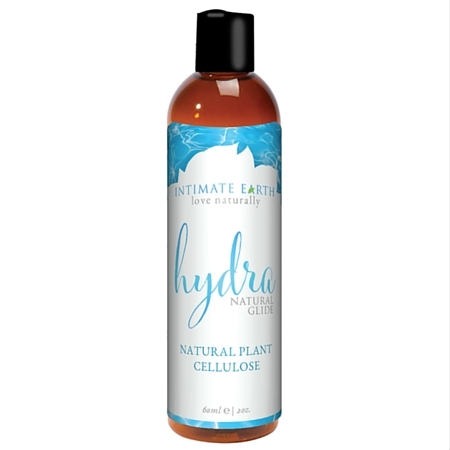 Hydra is from the Intimate Organics™ range of organic natural lubricants by Intimate Earth. This convenient purse-pack size is 60 ml (2 oz). Hydra is suited to women seeking a healthy nourishing water-based lubricant with a smooth consistency and no sticky residue. 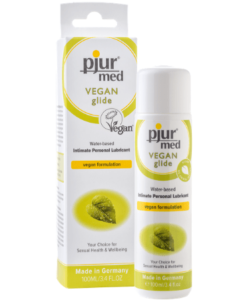 This water based lubricant is safe to use with condoms and will not erode surfaces of pelvic exercisers, unlike the silicone-based lubricants. Water based lubricants do not stain or become sticky with use and are easily cleaned. 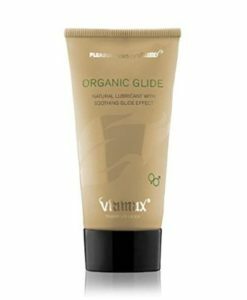 Water based lubricants are well known to be among the safest personal lubricants for the body.